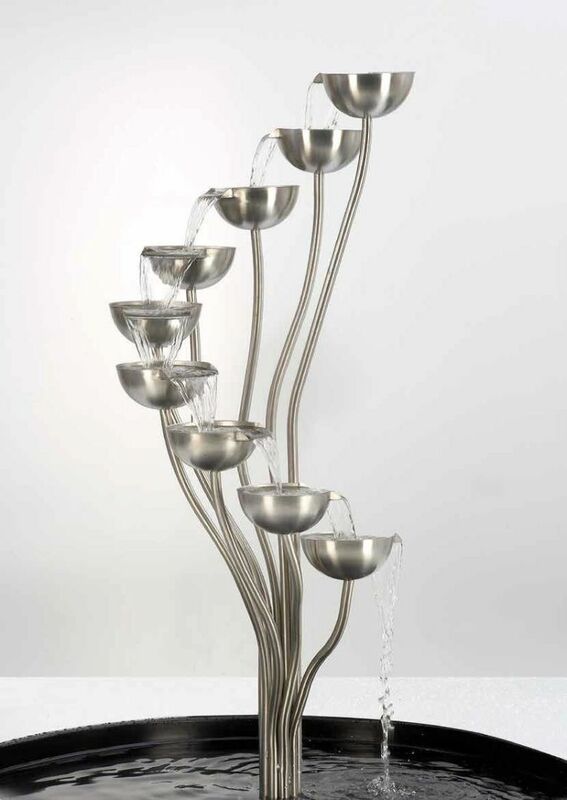 The Spey is a beautifully crafted 9 cup water cascade made from stainless steel with an attractive brushed finish. 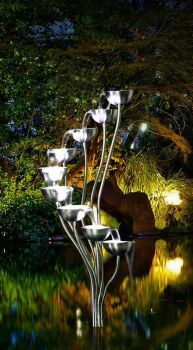 Water is pumped to the uppermost cup where the water then gentle flows down into each of the remaining cups, back into the pond or water reservoir. Creating the soothing sound of running water in any pond, garden, patio or indoor area. The Spey is also an attractive and elegant dry sculpture. Complete with a powerful 230 volt pump and 10 metres cable. 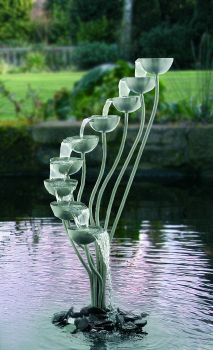 Ideal for mounting into a pond and the feature is supplied with mounting feet. Can also be mounted in our 90cm Underground Water Reservoir with Steel Grid. Suitable for mounting in our above ground Stainless Steel Reservoirs. Dimensions - 1100mm H. Tube 16mm Ø. The Spey can be effectively illuminated from the base using our range of OASE Lunaqua Classic LED Spotlights for a warm white glow or using our AquaLED spotlights for a cold white or blue effect. Blue LED lighting is particularly attractive on stainless steel water features.